At Family Dentistry of Windsor, Dr. Stephen D. Lipman takes a very personal approach to dental care. He realizes that, no matter the dental problems being addressed, there is no universal solution that will work for all patients. When patients come to Windsor cosmetic dentist Stephen Lipman for treatment, he is likely to offer his patients a choice of dental treatments that will best meet their individual needs. Orthodontics is a perfect example of this. While it is traditional for patients to be given braces or retainers to straighten crooked teeth and align the bite, Dr. Lipman understands that this is not a practical solution for all of his patients. For many of Dr. Lipman’s Windsor patients, instant orthodontics is a solution that offers significantly quicker results. Many of Dr. Lipman’s patients are not familiar with instant orthodontics. Often times, they have avoided treatment because traditional orthodontics was not a good option. Instant orthodontics is a cosmetic solution for crooked teeth or poor spacing issues. While instant orthodontics will not physically shift the teeth or align the bite, it is a cosmetic alternative to traditional orthodontics. For Dr. Lipman’s patients in Windsor, porcelain veneers can be applied to the surface of the teeth to achieve the cosmetic results that a patient would expect from braces. In fact, the aesthetic results actually exceed those of braces because the porcelain veneers simultaneously work to improve the color of the teeth and conceal any additional cosmetic flaws. For those patients who are candidates for instant orthodontics, their desired results can be achieved in as little as two dental appointments. Typically, the first appointment will consist of preparing the teeth for the porcelain veneers by removing a minimal amount of enamel from the tooth’s facial surface and making a mold of the teeth that will be used in the fabrication of the veneers. 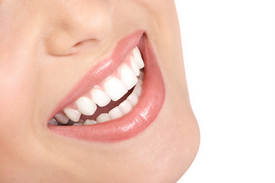 Temporary veneers will also be placed at this appointment. When the final veneers are complete (usually a couple of weeks after the first appointment) they will be bonded to the teeth at a second appointment. This will complete the instant orthodontics procedure. Patients who have crooked teeth and are interested in improving the appearance of the smile should consider all potential cosmetic options. While traditional braces may be right for some, other patients may be better candidates for instant orthodontics. Schedule an appointment with Dr. Stephen D. Lipman to discuss the best treatment to create the smile patients desire.